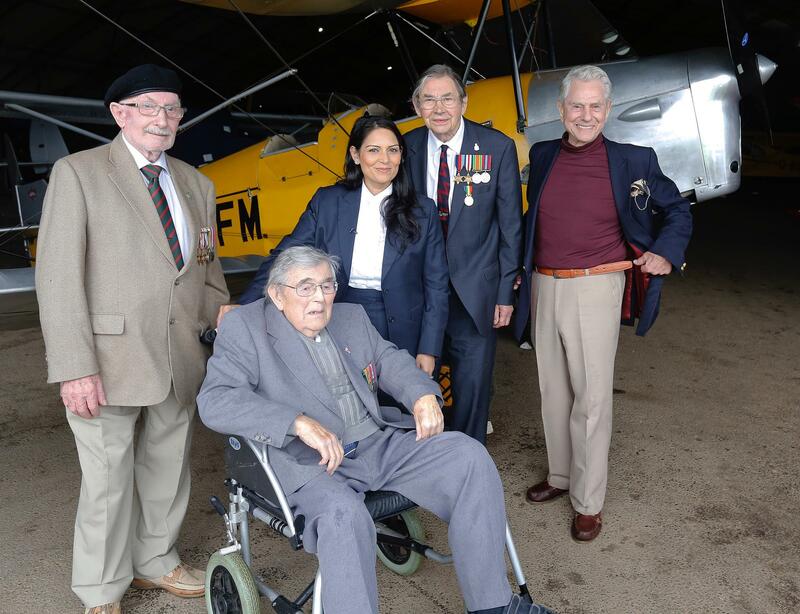 Bloggers4UKIP: WW2 veterans sign letter asking voters "please don't give away everything we fought for"
WW2 veterans sign letter asking voters "please don't give away everything we fought for"
A group of World War 2 veterans met Tory minister Priti Patel yesterday to plead with voters to vote to leave the EU. We never imagined 71 years ago that our country would be in this position. 60 per cent of our laws are now made by faceless Brussels bureaucrats who are unelected, and the expanding EU military tells us that this is far more than just a trade bloc. Before you the British People cast your vote in the referendum on Thursday, we want you to know, that’s not what we fought for! Can you imagine how upsetting it is to us veterans that today we see our own politicians, and indeed our own Prime Minister, misleading the British people to keep us in the European Union? The EU is not democratic, and indeed the whole of Europe which we liberated together with our Allies during the Second World War, needs to know that. We plead with you. Please don’t give away everything we fought for. Please give your vote to our great country on Thursday.